Your conference room is the main space that clients and potential business partners will see when you are negotiating contracts or discussing important issues. What kind of chairs belong in a conference room? 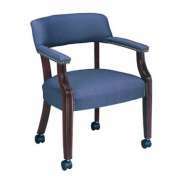 Conference chairs allow you to meet with guests and employees in a comfortable and relaxed way. 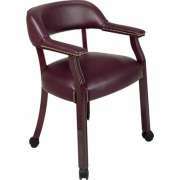 Hertz Furniture&apos;s conference chair collection is supportive to your clients, yet easy on your budget. Our swivel chairs, task chairs and office chairs come in a number of styles so you can choose your ideal features and enjoy designs that project your company&apos;s philosophy. 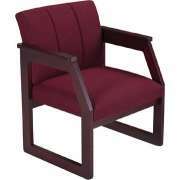 What kind of conference chair should I get? The right conference chair selection depends on the space that you want to put it in. 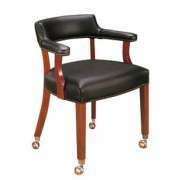 Not all office chairs will fit in with a contemporary or traditional workspace decor. 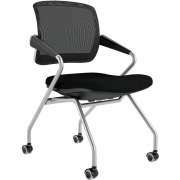 Modern-style offices such as those of a high-tech company or startup might prefer some sleek mesh task chairs that have super ergonomic features. 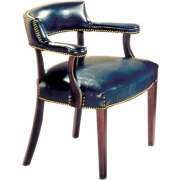 In a more classic space such as that of a formal law-firm or accounting firm, older styles like captain&apos;s chairs and tufted guest chairs are likely to enhance the room. When professionals have to sit through many hours of meetings and planning sessions, they will appreciate having some degree of mobility. When meeting attendees are seated properly, they are able to focus on what is being discussed and reach satisfactory conclusions. 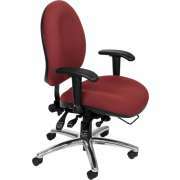 Swivel chairs enable each person to find a comfortable position without moving very far or being a distraction to others. Wheels make them easy to maneuver on a carpeted floor so people can get in and out of their seats without disrupting the flow of conversation. How can I make my conference room more comfortable? 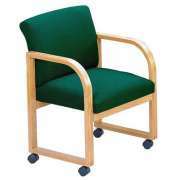 There are many conference chair features that can provide additional support beyond a basic chair design. 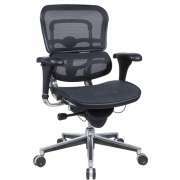 A high back and armrests promote correct posture by offering support in the right places. 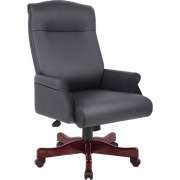 If you want to make sure that anyone will experience adequate support, no matter what their size is, we have a number of great big and tall office chairs. 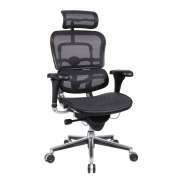 For maximum ergonomic comfort, there are a number of adjustable features that many modernconference room chairs have. An adjustable tilt angle keeps the back positioned correctly while adjustable height ensures that feet rest flat on the floor. The best models even have adjustable lower lumbar support so every individual can position the proper reinforcement in the perfect spot. 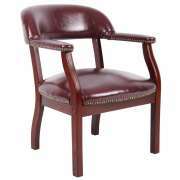 How should I choose the upholstery for conference room chairs? 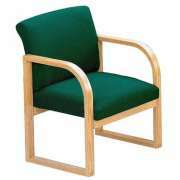 Conference chairs come in a number of different materials. If elegance is the main concern, fabric has a soft appeal and can be coordinated with paint colors or finishes of office furniture. Vinyl is easy to clean and highly durable, so it will stay in great shape throughout many years of use. Mesh offers ventilation which is especially desirable in warmer climates. 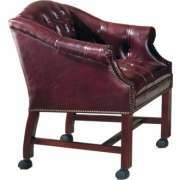 However, while each material has its appeals and benefits, nothing beats the luxurious elegance of a leather office chair. Padding can make a huge difference when people are sitting on conference table chairs for many long hours. It is important to make sure that it is thick enough to cushion your employees or clients, while still allowing them to maintain proper positioning. 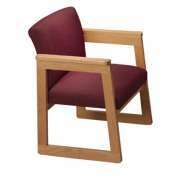 Some chairs come with fully-padded seats and backs while others just have padded seats or partially-padded backs. 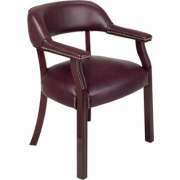 Conference chairs from Hertz Furniture will make your meeting space into a comfortable and professional venue. Whichever boardroom chairs you choose, you are sure to get some top-quality seating that will serve your company well for many years. If you need help determining what your optimal conference seating is, contact the project-planning experts at the Hertz Design Center.